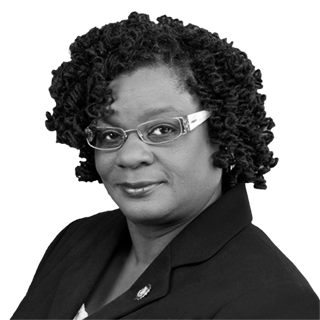 Rep. Gwen Moore: The state of our union is strong. The resistance to Donald Trump's agenda proves it. Rep. Gwen Moore The state of our union is strong. The resistance to Donald Trump's agenda proves it. “The state of our union is strong because our people are strong,” said the president. He’s right. The state of our union is indeed strong, as are the people who call it home. And despite what my Democratic colleagues might think, I do believe President Trump deserves credit as well — just not for the reasons he thinks. The president’s first year in office has been tumultuous to say the least. Most of his administration’s legislative goals have been mired by self-sabotage; his mental fitness and moral clarity have been questioned by both parties; special counsel Robert Mueller’s investigation haunts the White House at every turn; and President Trump’s vulgar anti-immigrant comments have sent shockwaves across the globe. However, these shameful transgressions have done more to unify our country than any policy the Trump administration claims to have championed during its short tenure. Ignorant viewpoints and the president’s corresponding polices have helped spur a surge of opposition at the ballot box. Take, for example, the president’s efforts to end Deferred Action for Childhood Arrivals: After making clear his intention to scrap protections for approximately 800,000 undocumented immigrants who came to our country as children, faith communities across America stood up to take action. Recently, dozens of rabbis and Jewish clergy members staged a sit-in under the Russell Senate Office Building rotunda to protest the president’s efforts. 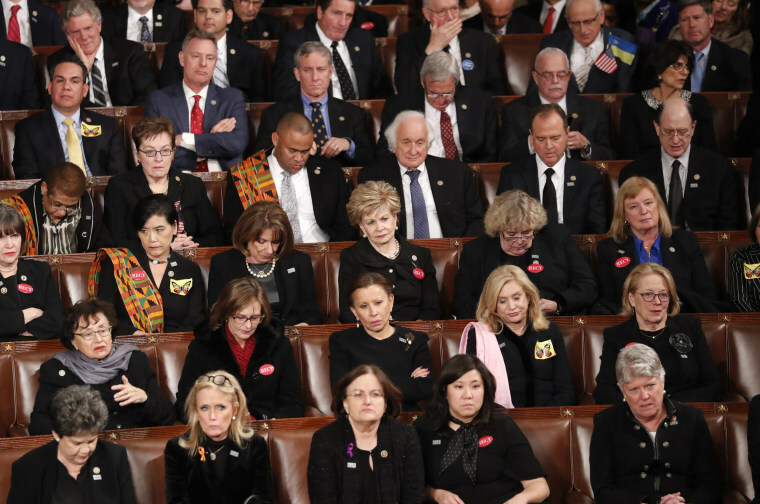 They called for the passage of the DREAM Act, a bipartisan bill that would provide a path to citizenship for those with DACA or Temporary Protected Status. A total of 82 people were arrested and escorted off the premises in handcuffs. Even conservatives deep in the heart of Trump country have made the decision to rise above the president’s anti-immigrant agenda. Residents of Volusia, Fla., where President Trump received 54 percent of the vote in 2016, recently elected Michael Chitwood — a progressive reformer with a strong pro-immigrant outlook — to serve as county sheriff. Sheriff Chitwood isn’t your typical red-state law enforcement official: He’s ordered his deputies to reject the racial-profiling tactics supported by the Trump Justice Department and has even lobbied Congress to find a solution to protect our DREAMers. Even conservatives deep in the heart of Trump country have made the decision to rise above the president’s anti-immigrant agenda. During tonight’s speech, the president echoed Sheriff Chitwood’s sentiments, taking a break from his usual caustic, anti-immigrant rhetoric to express optimism in finding a bipartisan compromise on DACA. “It is time to reform these outdated immigration rules, and finally bring our immigration system into the 21st century,” said the president. As lovely as that sounds, the validity of such a sentiment quickly degrades against the backdrop of reality. Let’s not forget that just weeks ago, in the vilest of manners, the president turned his back on a proposed bipartisan senate immigration compromise. "Why do we want all these people from shithole countries coming here?" President Trump asked a group of senators in the Oval Office. Ignorant viewpoints like that and the president’s corresponding polices have helped spur a surge of opposition at the ballot box, from support for candidates like state Delegate Danica Roem, D-Va., and Senator Doug Jones, D-Ala., to ordinary Americans running for office and taking matters into their own hands. And I’m proud to report that women are at the very tip of the spear. The administration’s intolerance, however, isn’t the only factor that has inspired everyday Americans to take a stand. The administration’s intolerance, however, isn’t the only factor that has inspired everyday Americans to take a stand. In fact, many of the country’s most vulnerable joined forces against the president to oppose what is now considered his administration’s only major legislative achievement to speak of —the Republican tax plan. Last December, as members of Congress debated the plan, those representing America’s disabled converged on the capitol in droves to sound the alarm over the dangerous impact the Republican proposal would have on Medicaid. With a clear understanding that the tax plan would add $1.5 trillion to the national debt, disability rights activist knew Republicans would target programs like Medicaid, Medicare, and Social Security, as a means to offset the price tag. Devastating cuts to these vital programs — $1 trillion from Medicaid and $500 billion from Medicare — is nothing short of a death sentence for Americans with disabilities. It was with this in mind that activists of all ages from across the political spectrum (some connected to ventilators) literally threw their bodies in front of the president’s agenda. They hoisted themselves out of their wheelchairs onto the floor of the Rayburn House Office Building and pleaded with their elected representatives to reverse course. It was a striking display of heroism that I will not soon forget. Martin Luther King, Jr. once said, “The ultimate measure of a man is not where he stands in moments of comfort and convenience, but where he stands at times of challenge and controversy.” I believe the same could be said for our country. And in the face of an administration determined to vilify immigrants, ignore women, belittle communities of color, and put the desires of the wealthy before the needs of the vulnerable, courageous acts of defiance have only strengthened our collective resolve. In spite of President Trump and his administration, the state of our union has never been stronger.